An interview with Willam from The Stylish is making the rounds again after fans noticed the teenage photos that pepper the deep dive into the Drag Race season four contestant’s closet. 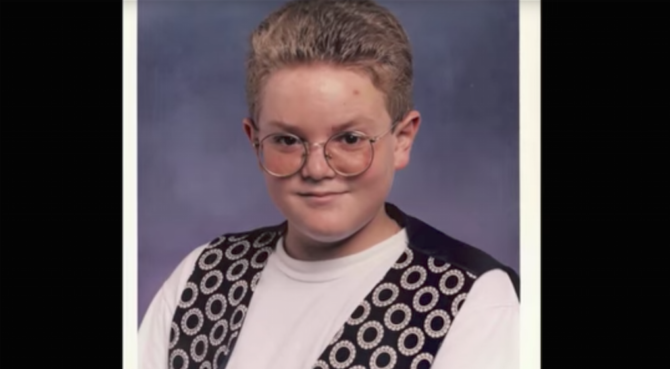 Though we’re used to Willam’s brash, outspoken and always-confident persona, his formative years weren’t quite so self-assured. In the interview, he discusses struggling with his weight as a 13-year-old and how that helped shape his sense of humor. Something inside of him is broken. Normal men and boys, whether gay, straight or bi, don’t act like that. I doubt he has ever desired to be your definition of ‘normal’. Being different is not broken. Oh silly me, I’m talking to a troll. My bad. If I wanted a woman I’d be straight.I don’t want a guy pretending to be a woman..
He’s not doing it for you…. And yet there are plenty of guys that are totally into it. Why do you feel the need to announce your dislike? Just shake your head on move on. So many judgmental comments. Do you people not understand the concept of being a unique individual and following your own path? I admire William and anyone with the courage to go through life on their own terms. The gay community is the bitchiest, most unkind group of people on earth, as these comments prove.